Greater Manchester Police have released CCTV stills believed to be of the Manchester suicide bomber Salman Abedi on the night of the arena attack. In the footage Abedi can be seen wearing a thick parka, hat and glasses as well as the rucksack which police believe carried the bomb that killed 22 innocent victims and injured 119 others as they left the arena. Officers investigating the case hope that by sharing the image they can jog the memories of witnesses who may have seen Abedi. 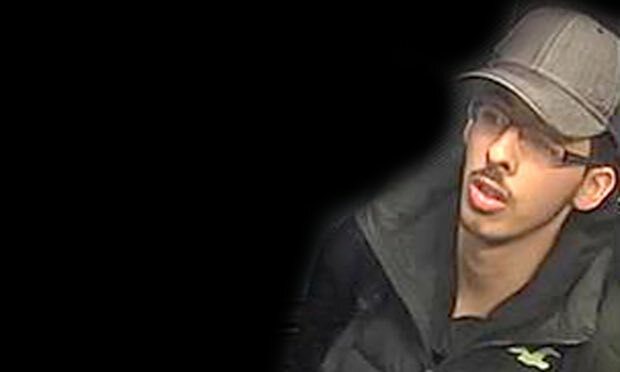 Police are currently attempting to piece together Abedi’s whereabouts from when he returned from Libya on May 18 through to May 22, the night of the bombing. 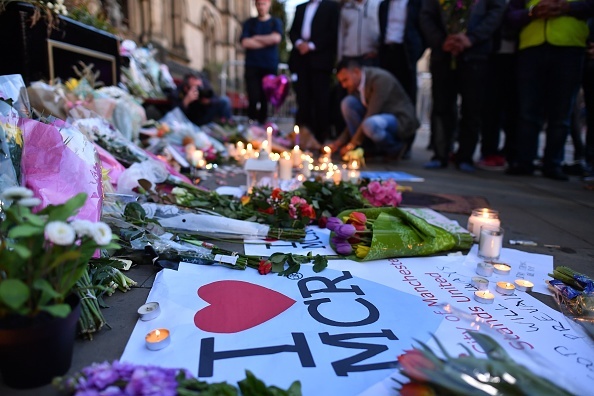 In a statement released on Saturday night Greater Manchester’s police chief constable, Ian Hopkins, said the investigation was making good progress. Since Monday night Greater Manchester police (GMP) and Counter Terrorism Policing North West have been working closely with the national counter-terrorism policing network on what continues to be a large scale and fast-moving investigation. Today we are releasing an image of Salman Abedi taken from CCTV on the night he committed the attack. We are gathering a detailed picture of Abedi as the investigation develops and now need people to tell us if they have any information about his movements from 18 May when he returned to the UK through to Monday night. The investigation is making good progress and we know one of the last places Abedi went was the city centre flat and from there he left to make his way to the Manchester Arena. The flat is highly relevant as a location which we believe may be the final assembly place for the device. We have 14 locations that are still being searched ad there are 13 people that have been arrested on suspicion of offences contrary to the terrorism Act. In total 17 warrants have been carried out mainly across Greater Manchester. We immediately established full command and control of the incident and within an hour of the attack taking place a specialist counter terrorism control room had been established with a first priority of identifying the attacker.Specialist counter terrorist forensic teams were sent to try and identify the attacker and within two hours his identity was known. With this information officers could begin to establish his movements to try and understand if anyone else was linked or any more attacks planned. Firearms officers from across the country were deployed to support greater Manchester Police colleagues who were already deployed in case of further attack. We called in officers from around the national counter terrorism policing network and they quickly arrived from across the UK. By early Tuesday morning there was an established pattern with all officers and staff working on the response to the attack in day and night shift of approximately 14 hours each. The whole team are working round the clock. We have around 1,000 people involved in the investigation alone. In addition there are hundreds of officers from Greater Manchester Police and other forces involved in security around Greater Manchester. In the past five days we have gathered significant information about Abedi, his associates, his finances, the places he had been, how the device was built and the wider conspiracy. As a result of the arrests and searches which have taken place we now have many further lines of inquiry. We already have more than 1,500 actions we are pursuing. This is still a live investigation which i not slowing down. Our priorities are to understand the run up to this terrible event and understand if more people were involved in planning thing this attack. Police are currently operating under the understanding that Abedi assembled the bomb in an Airbnb flat on Granby Row in the city centre, near Canal Street. Thirteen people have been arrested so far on suspicion of terrorism offences with the latest arrests taking place early this morning in Cheetam Hill. Anyone with information about the bombing has been asked to call the Anti-Terrorist Hotline on 0800 789321. Meanwhile if any witnesses have images or footage that they believe can assist police then they can upload them to Ukpoliceimageappeal.co.uk.